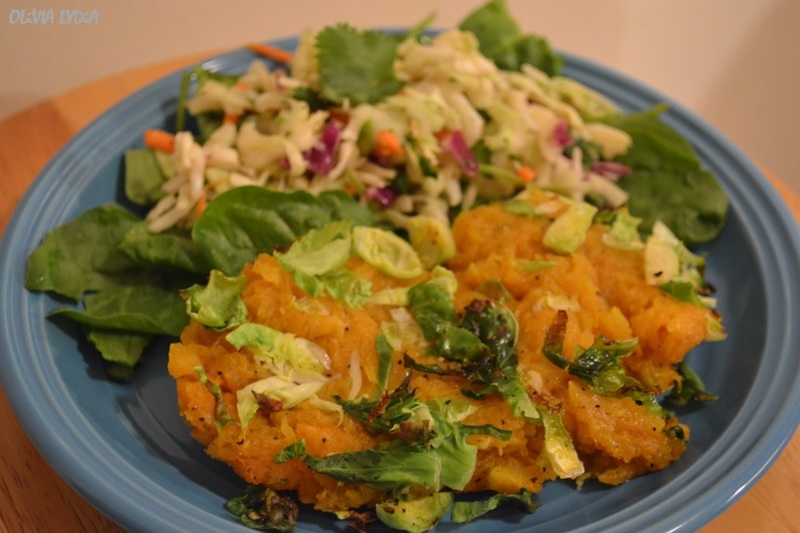 Roasted Butternut Squash Topped with Brussels Sprouts – Olive For Greens. I want to first apologize for the picture quality. I made this recipe earlier this year (in January 2014- when I started blogging and taking photos). I was not good with angles and lighting. Though I am still amateur, I am better at this photographing business. Enough of that! 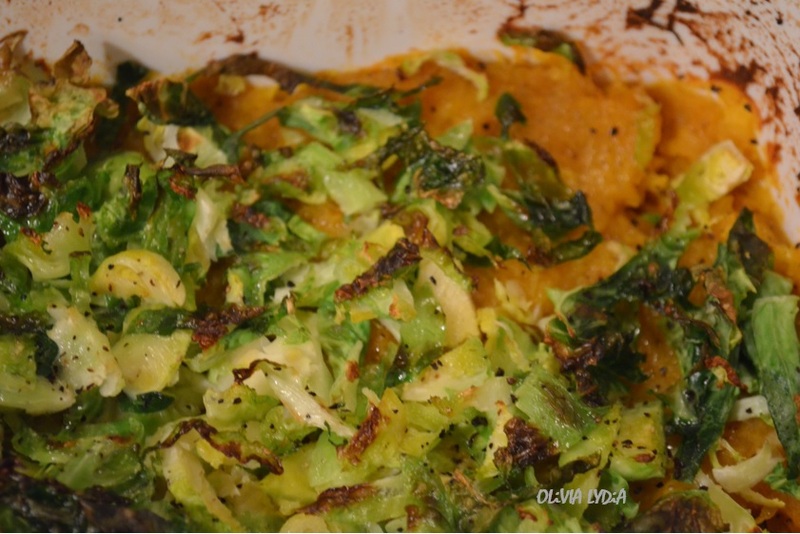 Back to the more important thing- Roasted Butternut Squash Topped with Brussels sprouts! I had forgotten all about this creation. I had it written in my recipe book but never typed it up. With spring on the way, I just knew I had to get this recipe out there. Butternut squash is really tasty. A pain in the you-know-what to chop but so worth it when you take the first bite. Some grocery stores and produce stores sell butternut squash, and other squashes, pre-cut. How exciting is that?! 1. Pre-heat the oven on 425 degrees Fahrenheit. 2. On a greased baking sheet (or parchment paper) add the butternut squash sprinkled with salt and pepper. 3. Bake for 30 minutes or until fork tender. 4. Mash with a fork, leaving some texture-if desired, then place in a baking dish. 5. Now add the Brussels sprouts on top. Broil for about 5 minutes, until golden. Previous Post The Cheese Wiz!